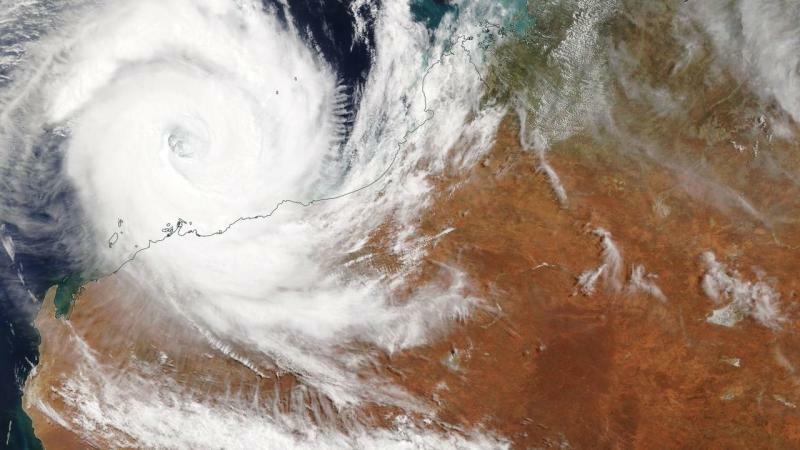 Even those who have weathered previous cyclones are being warned to stay indoors because Cyclone Veronica "is different" from previous storms even as it weakens. A red alert was issued for residents along the Pilbara coast to find shelter and brace for destructive winds of up to 155km/h and wind gusts up to 220km/h. "This is a very, very serious situation," WA Premier Mark McGowan told reporters on Sunday. "People in that part of the world are used to cyclones but this one is different." The core of the storm is expected to remain over the coast through the evening before weakening and moving west through Monday. But heavy rainfall and a destructive storm tide in the early hours of the morning means major flooding remains likely along the Pilbara coast, the Bureau of Meteorology warned late on Sunday. Port Hedland Mayor Camilo Blanco earlier said the rain and winds dramatically intensified within a short period of time. "I'm concerned about the cyclone surge because it's a Spring tide which is the highest tide of the year so we're expecting a surge of 2-5 metres," he said. "Don't risk your own life, don't risk the lives of your children, don't risk the life of others." "We are expecting a prolonged period - 12 hours or more - of destructive winds near the core of the cyclone."